Rise of the blocks. The game is a clone of the acclaimed puzzel game Tettris attack from Nintendo that appeared on the SuperNintendo system. 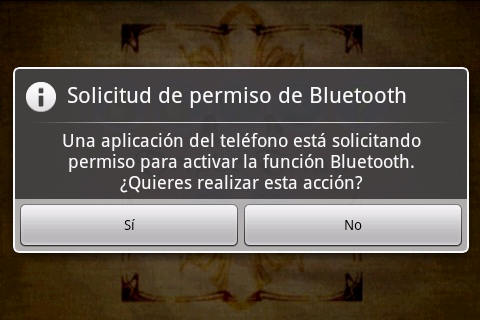 You can find it on Google Market/Playground, go download it now! 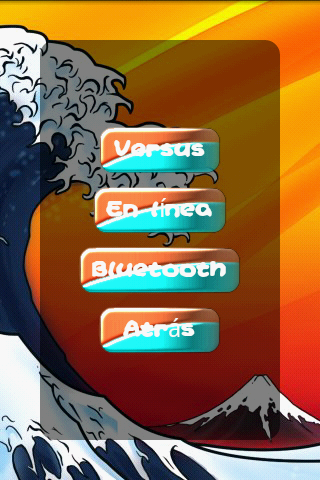 The game will be available both in free ad-supported and paid versions. 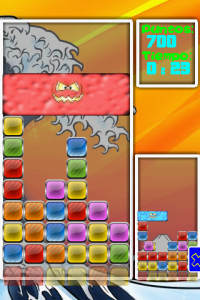 The game features two different game modes: versus and puzzle. In versus mode you can play both againts the computer, or against a friend over bluetooth or online connections. The game consists of two players, each one has it’s own board. On the board tiles of several colors rise, faster and faster as times goes by, when a player swipes a tile on the board, this tile is switched with the tile on the side. If there is not a tile below, it falls down due to gravity. 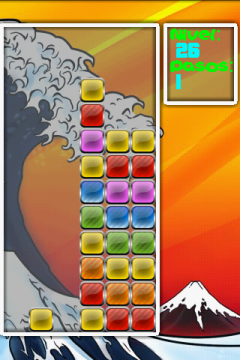 When vertical or horizontal rows of tiles of the same color are matched, the row disappears. When a tile reaches the top player loses. When a player makes a good move, a brick falls on the other player board. The better the move the bigger the board so plan carefully your moves in order to win! 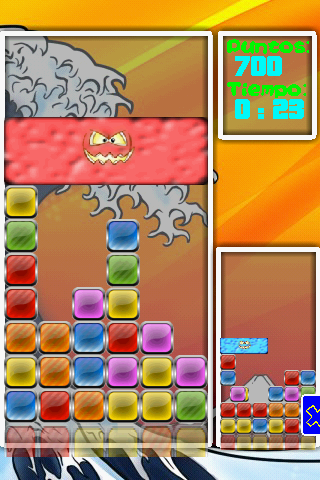 In Puzzle mode there are 120 stages, with increasing dificulty. I challenge to reach level 120 if you can! The game here consists on clearing all bricks in a preset number of moves. The beginning seems easy but don’t be fooled, this game is fun, difficult and addictive alltogether! The game is translated to english, spanish, italian, french german, portuguese, german and japanese (translated with Google Translator). Triple Triad Trials released on Android! Triple Triad Trials after several months of hard work. 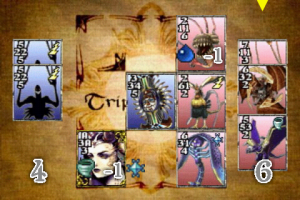 The game is a clone of the final fantasy VIII mini-game called Triple Triads from Square Enix. You can find it on Google Market/Playground, go download it now! The game features 110 different cards to collect. Try to gather them all! You will have to fight against 40 AI players, but beware, they will only play against you under certain conditions, such as play a certain card they are after or using a certain set of rules, just like in the real game, ensuring hours of fun! You can play against the computer players or against your friends both online and over a bluetooth connection. For those of you who have lived under a rock and don’t know of such a great game, the basic game consists on taking turns to place cards on a board from a hand of 5 cards taken from the deck. Each card has 4 numbers left, right, top and bottom. 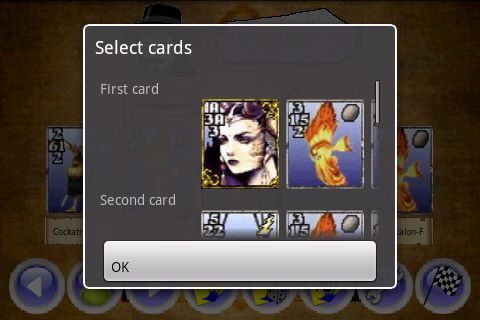 When a card is placed if the left number of the card is higher than the right number of the card on the left, that cards ownership goes to the player who dealt the new card. The same goes for the other numbers. When the board is full, the player owning more cards winds and takes one or more cards from the loser depending on the active payment card rule. There are more rules to consider, but you will learn them in due time. Just check the tutorials for help. I hope you enjoy the game as much as I enjoyed working on it! i'm a developer with background on web, mobile application, desktop application, and scada application for industrial environment development who loves programming. 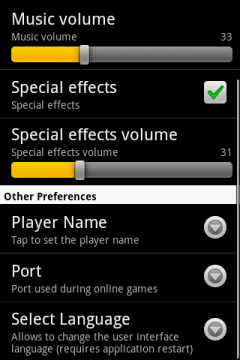 This site is dedicated to my android games. Please download them and have fun! Raph on Triple Triad Trials released on Android! Baofu92 on Triple Triad Trials released on Android! 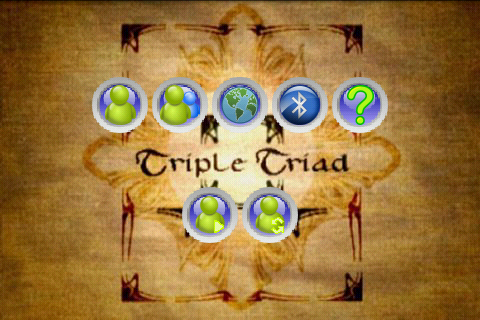 admin on Triple Triad Trials released on Android!